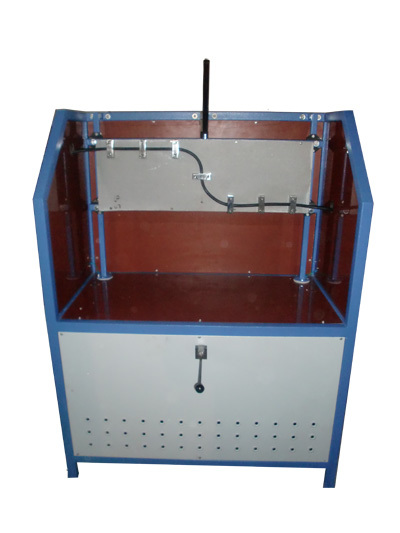 Fire Survival Test Apparatus as per BS - S.S. Instruments Pvt. Ltd. 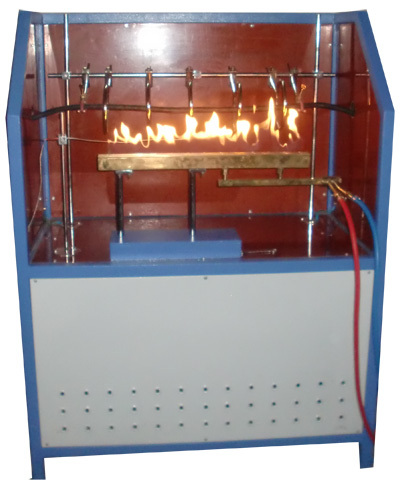 This instrument is designed to testing cables required to maintain circuit integrity when subject to fire alone where the test conditions is based upon a flame with a controlled heat output corresponding to a temperature of up to 950oC. 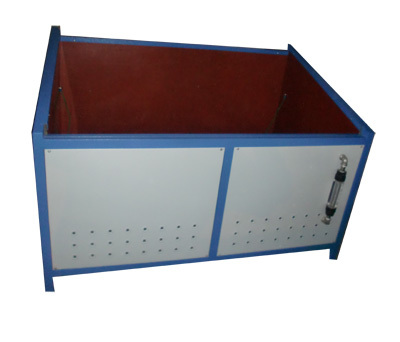 Sample Stand : Made of SS with 5 rings to support the sample during the test. 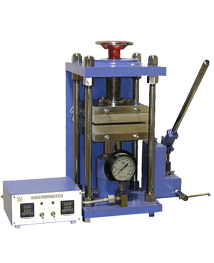 This instrument is designed to testing cables for resistance to fire of cable required to maintain circuit integrity under fire conditions. 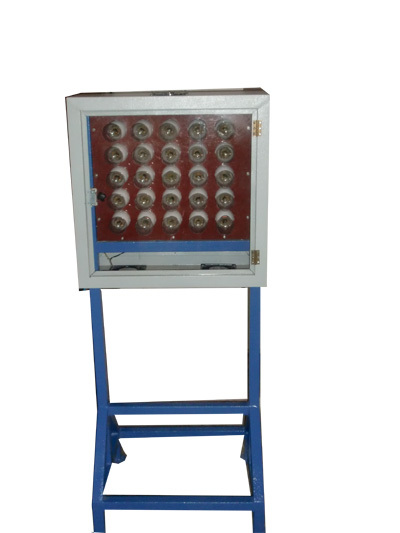 The instrument is applicable to cables of rated voltage not exceeding 600/1000 V and of overall diameter less than or equal to 20mm (as per BS 6387) and diameter exceeding 20mm (as per BS 7846). Protocol W: subject the cable under test to a flame via direct impingement corresponding to a temperature attach of 650oC with direct application of water simulating a sprinkler system. Protocol Z: subject the cable under test to a flame via direct impingement corresponding to a temperature attach of 950oC with indirect application of mechanical shock. Category F60: Resistance to Fire with direct mechanical impact and water assessed in combination when tested as per BS 8491:2008 for 60 min. Category F120: Resistance to Fire with direct mechanical impact and water assessed in combination when tested as per BS 8491:2008 for 120 min. 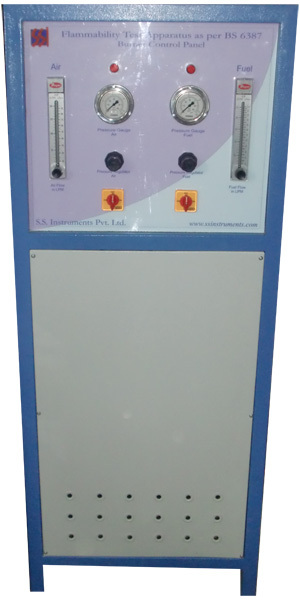 The instrument can be bought as complete unit or can be bought as piece meal as per customer requirement. Burner (for Protocol C) : Tube Type LPG / propane gas burner. Overall length of the nozzle is 610mm. Burner (for Protocol W and Z ) : Ribbon Type LPG / propane gas burner. Overall length of the nozzle is 500mm. 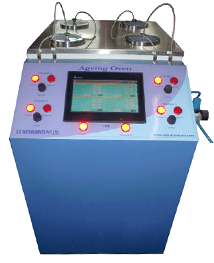 Burner Control: With double variable flow meters (Roto meter). Roto meters range is : 95+/- 5 LPM, gas flow range is : 10 +/- 0.5 LPM. Two Pressure Gauges of 0-60psi will be provided to control the input pressure for Air and Gas. Flame Temperature: Adjustable up to 950+/- 50oC using the flow control. 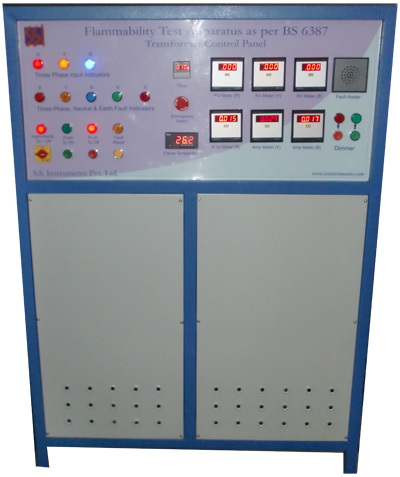 Three Phase Transformer (up to 1 KV) with individual tripping system for all the three phases, Neutral and Earth.